They dance by spreading their breeding feathers and bobbing up and down, sometimes neck out stretched. I hope to have the whole ritual captured. The one time I would like to shoot video. Thanks, saw yours earlier. Really nice. Thank you very much. Rookeries are starting to get active. Thanks. 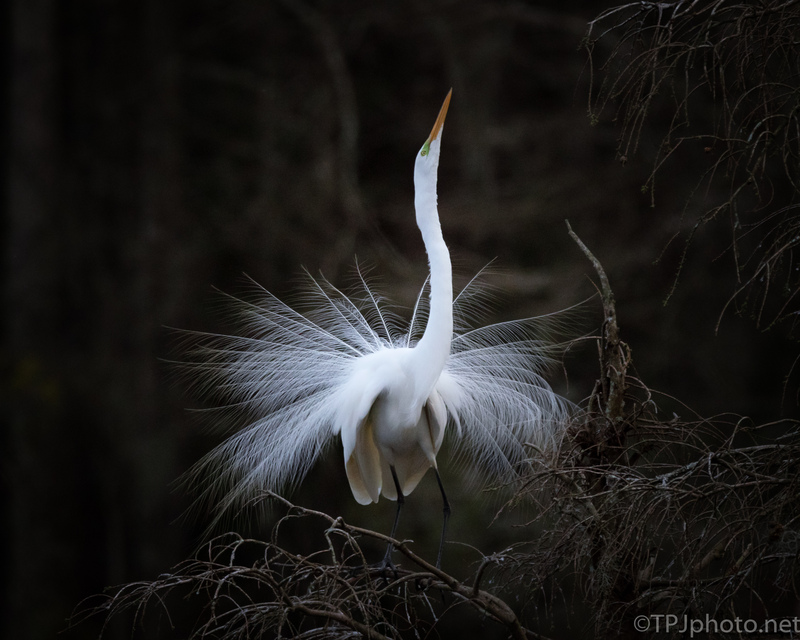 The last few days have seen the Great Egrets move into a rookery. Chaos. But they are beautiful when they have the mating look.